So we all heard that the XFL is coming back, right? Oh God, have you not heard this? For Those who are not familiar, Vince McMahon, the owner of WWE, once tried to start a wrestling franchise called the XFL back in the early 2000s. It was supposed to be the next big thing, bigger than the NFL. 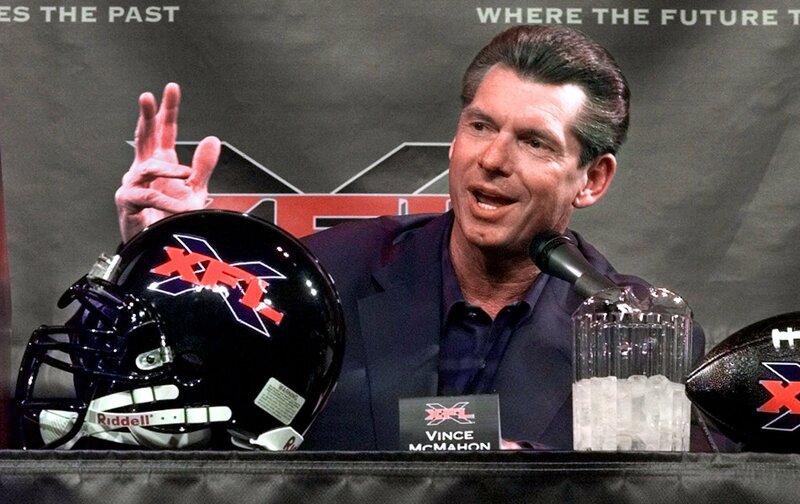 The XFL failed miserably and became a footnote in the history of Vince’s vast sports entertainment empire. Until now. In response to NFL protests during the national anthem, McMahon has promised to bring back the failed football franchise sometime in the next couple years. One of the things McMahon has vowed to do is bar any player with a criminal record, and kick out any current XFL player caught breaking the law. Naturally this means that like the NFL, XFL athletes will not be allowed to use cannabis. Tommy Chong has different ideas. In an interview with TMZ Sports, he said that one of the things McMahon should do differently from the XFL is allow players to use cannabis. The NFL does not currently allow players to use cannabis for either recreational use, or medical use. If the XFL were to allow players to treat themselves using cannabis, they would be a shining example to other sports leagues, a bellwether, if you will. Unfortunately, Vince McMahon is not known for his progressive views on much of anything, let alone cannabis. Will the XFL take Tommy Chong’s advice? Tell us in the comments!